It’s Almost Time to Go Outside! Spring has sprung, and despite our recent cold snap, warm weather is just around the corner. With all of us coming out of our winter hibernation, now is a great time to consider installing a tile patio or porch. There’s no reason the exterior of your home can’t be an extension of the interior. The better the exterior of your home looks, the more you will want to spend time outside. 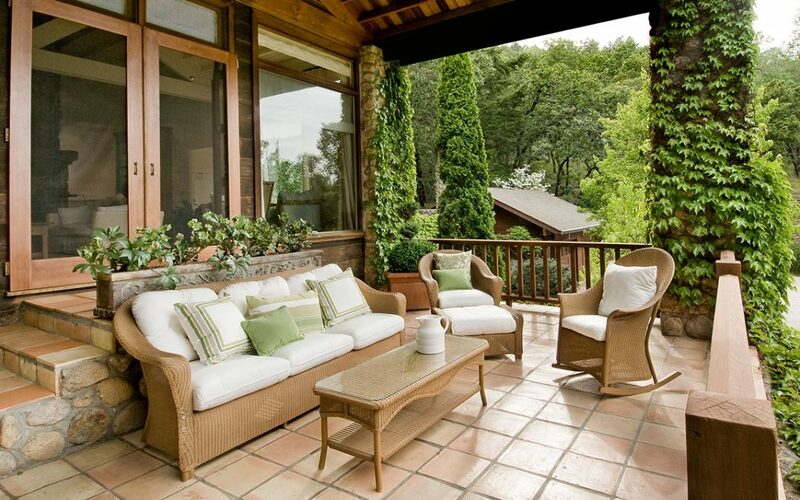 It’s far more common today to treat an outdoor design the same as you would an indoor design. Outdoor furniture, smartphone-controlled entertainment systems, or a fire pit can, among other things, turn an outdoor space into the perfect area for entertaining guests. It’s important to use a qualified installer to make sure that water doesn’t penetrate the tile and then freeze, damaging the beauty and integrity of the bond holding your tile in place. Now that it’s starting to get warm, it’s the perfect time to call Solid State Tile and get an estimate. With the right patio, there’s nothing you can do inside that you can’t do outside.